The Interaction Design Foundation is publishing Gamification At Work by Jankaki Kumar and Mario Herger for the public tomorrow. I just finished reading the book and taking notes thinking I might review it. 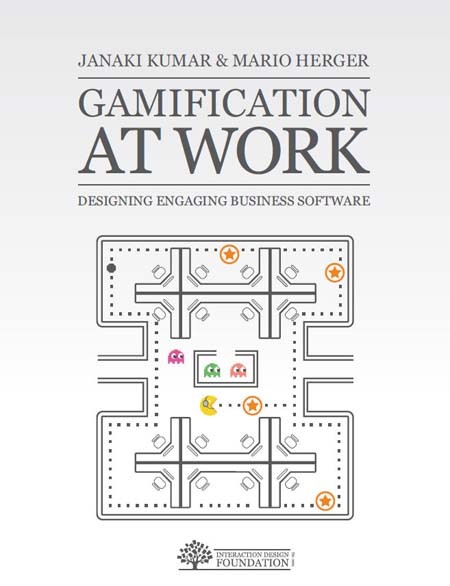 However, rather than do a simple review of the book’s content, I decided to situate the major points from the book into a post on the general topic of gamification in the workplace. I appreciate the opportunity to read the book’s early release and, if you haven’t yet seen it just click on the link to it above and you can access it as well. Hopefully you will also consider reading my own thoughts on how the points in the book fit into what is most aptly considered gameful design. Gamification At Work is an interesting read for several reasons. Kumar and Herger not only cover the essential components of a well-thought approach to why playing games is not antithetical to getting work done. They add to that contribution by outlining a design strategy, which they refer to as Player Centered Design, and providing case-study insights from the SAP Community Network that add essential details to each part of their overall discussion. Courtesy of eschipul photostream on flickr. There is a lot, actually a whole lot, of buzz over the past year about the gamification of business, specifically marketing, training, customer service. The discussion too often overlooks the simple point that it is the experience with it, the playfulness of it, that makes a game. Not the scoring system, or the rewards, or anything else can make up for a game that participants (customers or employees) don’t experience as play. I’m not saying that incorporating game mechanics into relationships cannot create a motivating dynamic, at least over the short run. It certainly can. Jesse Schell offered the point earlier this year that a game is a problem solving situation people enter into because they want to. He went on to say that if you can make a task feel like a situation people enter into because they want to then you’ve made it a game. Additionally, in her presentation “We Don’t Need No Stinkin Badges” Jane McGonical observes that gameful experience requires that participants experience the spirit of gaming rather than simply the mechanics, in other words that the rewards of playing a game people want to continue playing are intrinsic rather than extrensic. The point of this post is to note that gamifying business to engage customers is one thing. Customers can almost always walk away from a commercial relationship if they want to, except perhaps in dealings with health insurance companies and utilities. Gamifying business to motivate employees is entirely another type of design challenge. Using gamification to elicit patterns of action that enable employees to work together, such as knowledge sharing, easily slips into involuntary play and reinforces the type of competition that currently sustains siloed organizations. I’ll add to this point in a subsequent post on gameful collaboration where I contend gamification in social business aiming to increase collaboration must design for emergence, not just competition and cooperation, as guiding design principles for play. However, for now, let me just flesh out the point about gamifying employee relationships with an example from the construction industry and personal experience.